First half goals by old reliables Fergal Fitzgibbon and Ger O'Neill put Glanworth United into the semi-finals of the Murphy’s Stout Saxone Cup. 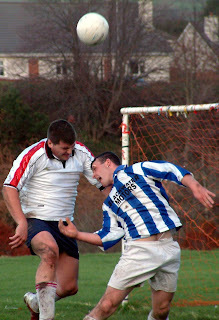 But visitors Glanworth had to dig deep in a pulsating hard fought second half. 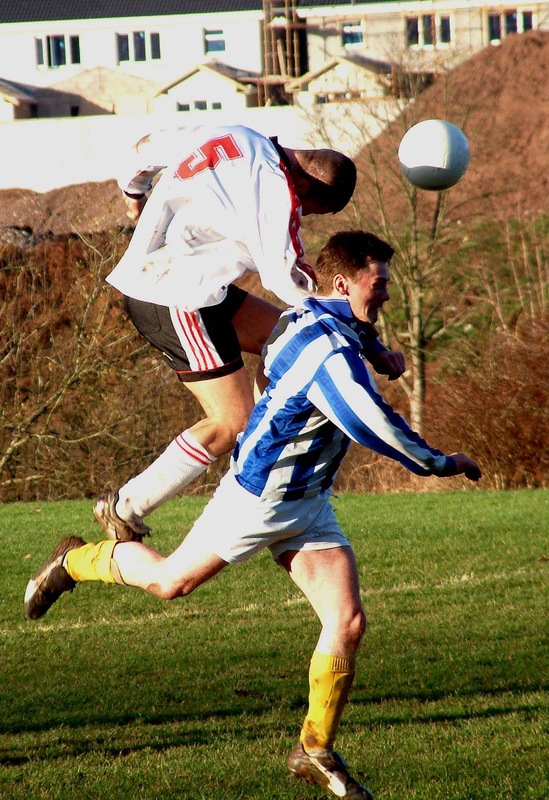 Glen will be kicking themselves as they missed chances both before and after the break. Fitzgibbon cracked in a 20 yard free to open the scoring, the free awarded after a foul on Paudie Walsh, and it was a Fitzgibbon cross that led to O'Neill heading the 25th minute second. 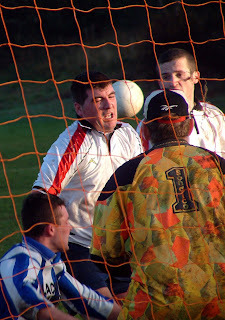 The home side came raiding as the first half closed but found Glanworth keeper Fran Morrison in good form. 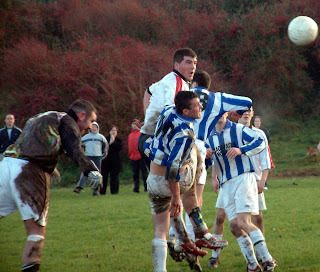 Glanworth were lucky though when Danny Kiely beat Morrison but drove against a post. 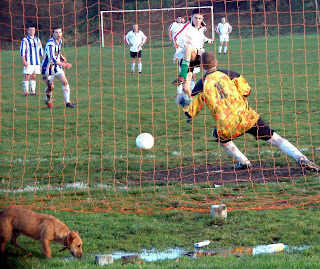 There was an explosive start to the second half and it looked as if Glen’s chances were gone when they had a man sent off just two minutes after the restart. But they were handed a life-line about six minutes later. A Glanworth defender handled on the line and was sent off and Colm Forde converted the spotter. 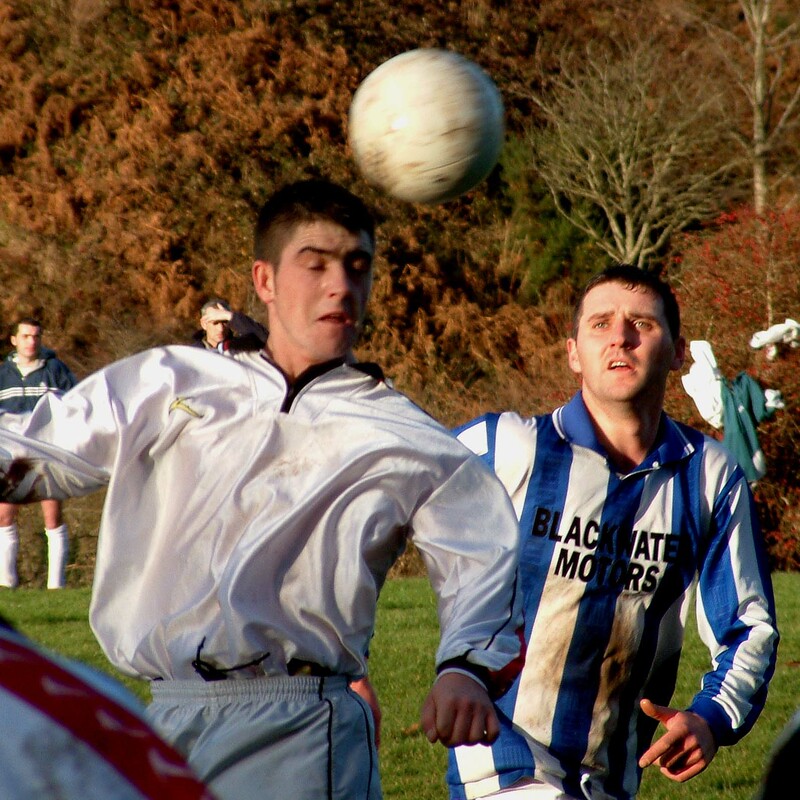 Glanworth came under increasing pressure as the half wore on but Morrisson and company acquitted themselves well and, with a little bit of luck, made it through to the last four. 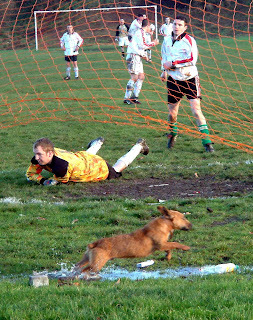 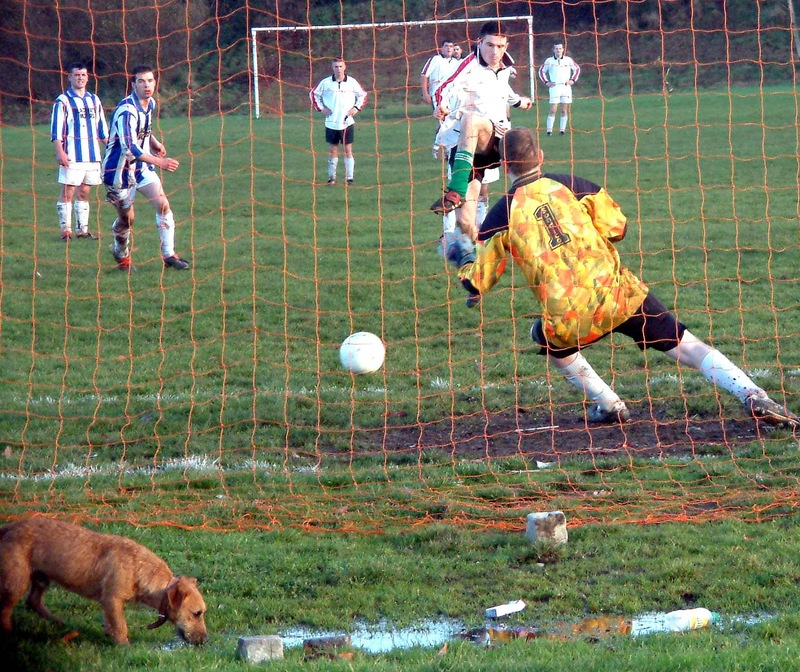 Dog takes off as Glen spotter hits the net!